If pictures are worth a thousand words, then an animated GIF image is worth a million. That may help to explain why GIF images are so popular. Animated GIF images are everywhere you look on the web. Millions upon millions of websites, social media sites and image pages, contain every type of GIF image you can think of. But what exactly is it that has made them so popular these days? Why are so many people creating their own GIFS and uploading them online? Especially on social media sites such as Facebook, Twitter and Instagram? An animated GIF image (Graphics Interchange Format) is what you call a file which contains a graphic bitmap image that has movements. The bitmap format of GIF images was developed by Steve Wilhite who was a United States software writer. He first discovered the GIF images back in June 15, 1987. GIFS are typically found on websites and come in banners, icons and pictures. In addition, GIFS loop infinitely which give off the impression that the file has not finished playing out. The average length of a GIF Image is between 10 to 15 seconds max. They can also be made from still images that show a few sequences and stop afterwards. GIFS are not the same as JPEG image formats because they do not degrade the quality of the images. They use lossless compression and include a maximum of 256 colors. Even though animated GIFS only contain 256 colors, people still use them widely. However, they are not the ideal format for anyone who wants to store their digital photos. Before animated GIF images were available, people had to resort to viewing still pictures. The only other way to see animation or movement in images was via videos. However, videos take a long time to upload and are often too huge in size to share. At the same time, a person must watch the entire video or skip to the part he or she is looking for to see it. Apart from that, videos take long to buffer and pose a problem for those who have limited data or slow speed internet connections. GIFS began to gain popularity when epic fail videos started popping up all over the web. Many users took the parts of people doing crazy, embarrassing or unusual things, and turned them into 10 to 15 seconds mini movie clips. 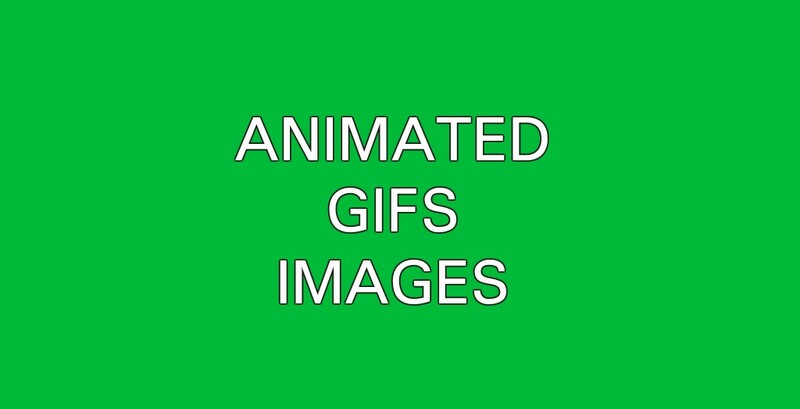 Before long, funny, crazy or wild animated GIF images were all over the internet. Since they took such little space, it made sharing, storing or saving them a cinch. In fact, their ability of a GIF image to be shared so easily, has helped to turn people into internet sensations. There are millions of GIFS images found on the web which are very popular and have turned unknown people, into online celebrities. GIFS images also help to spread clips of celebrities, athletes and famous people taken from movies, TV shows or games. Another reason why animated GIF images have become so popular is because they are now very easy to make. Years ago, people had to use sophisticated software or programs. Others had to use photo editing tools such as Photoshop to create and edit them. These days, there are many websites which let you create an animated GIF image quickly and easily. You can use our Convert files to GIF tool here at Online Convert to make a GIF. In case you have any type of an image which you may want to convert to another format, you can use our other image conversion tools as well. Animated GIF images are one of the best thing to happen to internet users who wanted to view animated images quickly and easily. That is one of the many reasons why they are so popular.